Congratulations, you’re finally ready to write your book, share your story with the world, change lives with it, and use it to build your brand platform! 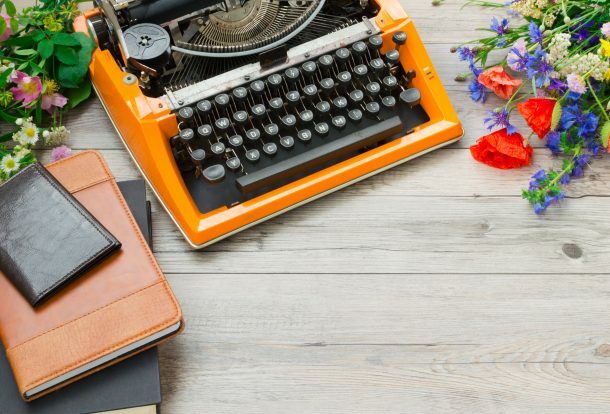 What if you had a partner in your book writing, a professional writer, best selling celebrity ghostwriter of 17 years, and experienced Book Coach who can solve all the burning questions you have that threaten your goal of becoming a published author? I am on a personal mission to help you and every other aspiring author like you, write a book that will change lives! When you work with me as your book coach you WILL finish your book. Failure is not an option. We are in it together, I am “all in” and I promise you I will use my extensive toolbox to help you get the job done. My toolbox includes literary and creative techniques from the worlds of fiction, screenwriting, acting and filmmaking, and 17 years of nonfiction writing strategies I’ve used to complete dozens of books for clients as the founder and CEO of The Ink Agency. I will do whatever it takes to make sure your book gets done! What happens if I get stuck while I’m writing? How am I going to keep myself accountable to deadlines and finish a WHOLE book all by myself? Weekly one-hour phone (or Skype) coaching sessions to work on your book. An allotment of emails in between to answer your specific writing questions. Consulting on your business and publishing plan for your book once it’s written. Access to my very best VIP strategies, problem solving techniques, resources, and knowledge about how to write a top quality, transformative book that supports your goals. A coach AND Developmental Editor, reading and giving targeted feedback on your manuscript-in-progress (saving you the time and investment of hiring a separate Developmental Editor). Celebrate my brand launch with me! Purchase one of my coaching programs by April 27th, and I’ll give you my agency’s Social Media For Authors 21-day intensive, self-directed course for FREE ($497 value!). In 21 days, we’ll walk you through creating a tailor-made strategy that saves time and reaches your fans. Daily check-ins and assignments to help you create your ideal social media strategy in 15-30 minutes per day. Interviews with bestselling authors who have tens of thousands of followers – and they’re sharing their secrets with you! An up-close look at what it takes to make industry connections (with publishers etc.) using social media. Access to our discussion group full of fellow authors. Industry-secret tools that social media professionals use to plan and craft effective content. Insights into targeting your ideal reader, so you can connect with them right away. You will actually CREATE your strategy in this course – in just a few weeks you will have a clear, actionable picture of EXACTLY what to do, and how. Ready to write a life changing book AND get the social media savvy to promote it once it’s published? Click below to contact me and get started! What Types of Authors do You Work With? How Long is a Typical Coaching Program? A typical coaching program lasts four to six months. This may vary depending on your book. How Do I know if your coaching program is right for me? GREAT question! Just as every book is different, every coaching relationship is different and I want us both to enjoy the experience and get the best possible results. When you first contact me about coaching, we will have an initial call to discuss your goals, review the program and see if we’re a good fit to work together on bringing your book to life.